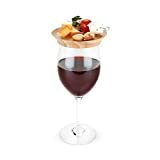 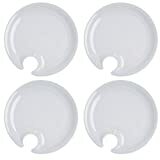 When mingling about at your next party, these cool new Wine Glass Appetizer Plates will come in handy. 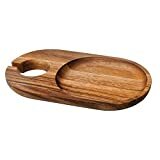 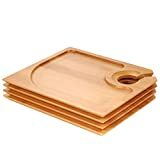 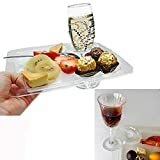 These miniature reusable wooden plates are designed to fit over wine glasses up to 3" in diameter so you can snack on appetizers without needing a table. 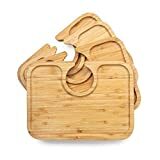 Each plate is handcrafted in Vermont from maple wood and they come in a set of two.